Vist Us at the Singapore Edition of the World’s Leading Airport Equipment and Technology Exhibition! 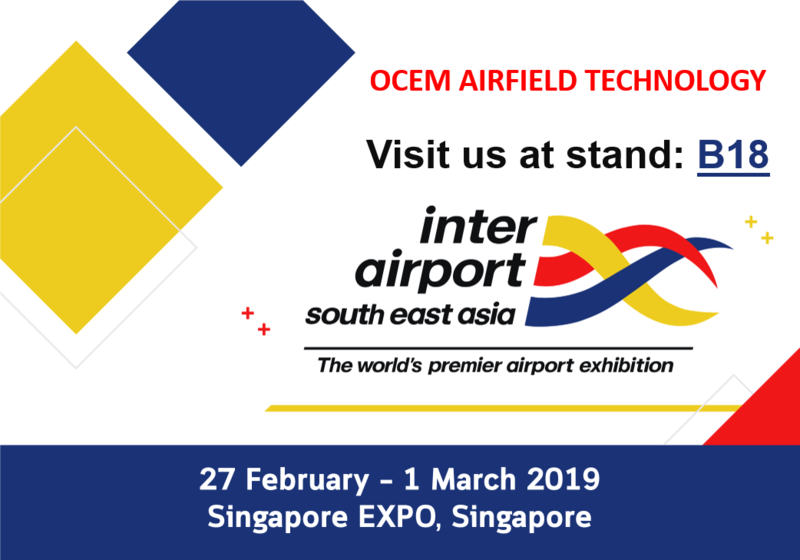 We’re happy to announce that OCEM Airfield Technology will be in Singapore from February 27th to March 1st at Inter Airport South East Asia Edition. Inter Airport South East Asia 2019 — the International Exhibition for Airport Equipment, Technology, Design & Services — offers a vision of building better airports in Southeast Asia. The event has a proven record as an effective networking platform for airport suppliers and buyers across the region. Impressive industry participation has made it the region’s premier airport exhibition. As a global company and market leader in AGL products, OCEM proudly participates in aviation events around the world that support airport customers, designers and regulators. Join OCEM at Inter Airport South East Asia, where we will showcase and explain first-hand the unique design and manufacturing advantages of our Airfield Lighting products.